Angry Birds a big name in gaming industry broken all records, if you are here then you already know what's Angry Birds is about. The game is available for Facebook,PC , Chrome Browser and Mobile Devices. It's a hit on all platforms. It's has various version available for gamers to play.The newest is Angry Birds Space. The above picture looks like the old Red bird, but it's different, it's a brand new bird for the new version of Angry birds. Angry birds had an great time on earth, destroying types of enemies like pigs,monkeys etc. They now headed for the space, the new version is going to be played in space, everyone is curious about the environment and the new enemies, but I am most curios about about the new bird in above picture, that's completely looks so robotic. It's going to launch on 22 March. The earlier versions of Angry birds were also great, the last time Rovio caught people's attention, it was the launch of Angry Birds on Facebook,which is also a hit. 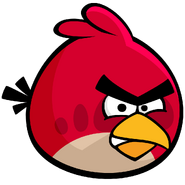 Now Rovio is in the NEWS again because of their new upcoming version of Angry birds. Fans of Angry Birds are extremely excited about the new Angry Birds, I am sure this will be going to be more thrill than any of earlier version of the game. The name is enough to make people crazy about it. In Angry birds, the space was seen last in "Angry Birds Season" in a Golden Egg level of "Summer Picnic", but it's not important that the look and feel will be same as that, because if we see the picture on Angry Birds Space web page, we will get idea about it and see the picture of Golden Egg level in Seasons. 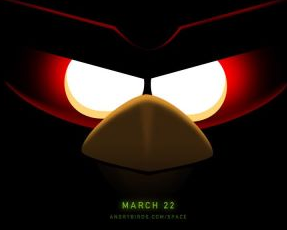 The tagline of Angry birds Space is "One small fling for a bird, one quantum leap for birdkind" seems very strong, this time the birds are going to be more bold than in any versions. There are lot's of question about this version of Angry Birds, one of the most asked question is "Is this the final version of Angry Birds" , but I don't think so, they will be back again, Rovio wouldn't like to discontinue Angry Birds version, although Rovio is more famous for Angry birds, so they would not leave the game in same state, and Rovio will give us more versions of Angry birds. If you want to keep yourself updated to Angry birds updates, then subscribe to our Newsletter, or stay connected with Angry birds Facebook Page. 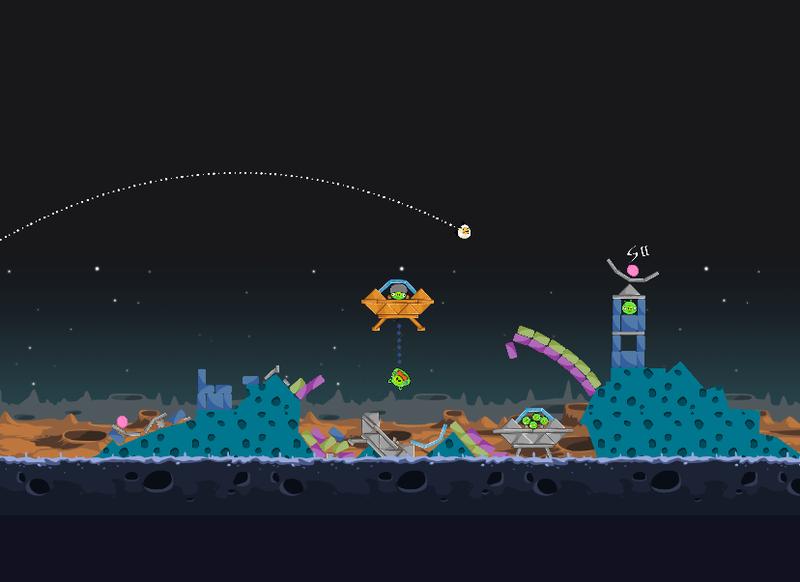 A short teaser of "Angry Birds Space"